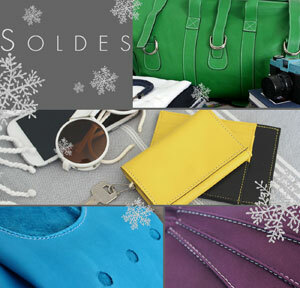 Coloured leather bags and accessories, for men's gifts. 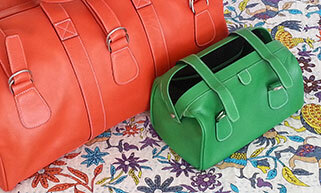 No more austere and dark leatherwork; spotlight on colour and boldness. 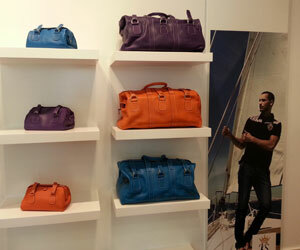 Hurbane revisits indispensable leather goods for men with style and elegance. 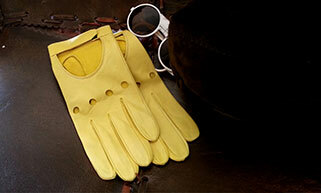 An exceptional brand of male accessories, distinguished by its expertise in working with coloured leather. Hurbane creations are a true signature of style in themselves: They reflect an open and initiated spirit; that of the aesthetic modern man with his traditions but with a flair for individuality. Thus, they merge perfectly with the various male domains, whether in the more conventional business and city environment, or in more casual and relaxed surroundings, remaining unfailingly elegant. 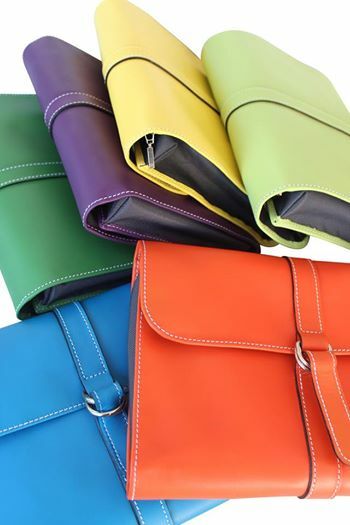 The Hurbane collection consists of a comprehensive range of accessories in coloured leather: small leather items (wallet, passport holder, key cases) fashion accessories (range of belts, collection of gloves) and travel items (toilet bag, travel case). 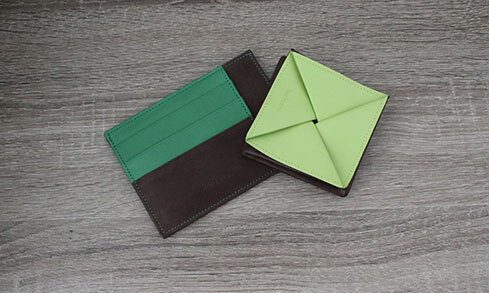 Each model comes in a palette of 6 coloured leathers: Monastic Orange, Ultra Violet, Arctic Blue, Bunker Green, for the more striking colours, Lime Yellow or Tropical Green for gentler tones. 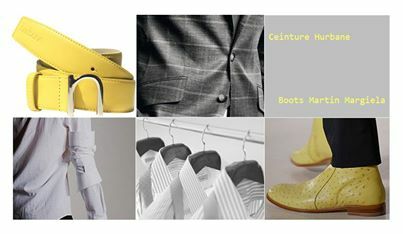 Each model has been carefully designed to be both chic, original and practical to respond to male expectations. With its elegant and daring style, Hurbane also becoming a key source of gift ideas for men, ensuring the effect of a useful and original gift. He can buy himself something unique to cherish, like a whole collection in the same colour. Hurbane's expertise and uniqueness lies in its selection of leathers. With its stance firmly fixed on coloured leather, Hurbane has searched the European market for the finest skins for optimal colour reproduction: a firm and hardwearing Spanish leather for the range of belts, a dense leather from Portugal for the line of leather accessories and travel goods, and finally a fine and supple French lambskin for its gloves, offering a long life and resistance to each item over its lifetime. Painstaking tannery has been implemented to achieve a smooth, silky and refined finish, unlike most common coarse and grainy leathers. The dosage of pigments has been implemented with precision in order to achieve unmatched density in all the colours (Monastic Orange, Lime Yellow, Ultra Violet, Arctic Blue, Bunker Green and Tropical Green). 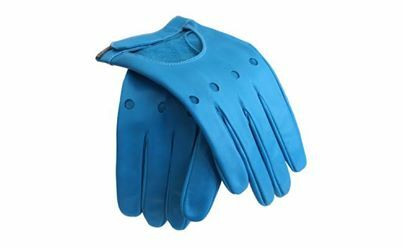 For the line of gloves, the leather work (lambskin) is differentiated by the craftsman technique of soaked lambskin, without the use of pigments. This traditional knowledge provides extreme care for this very fine and supple skin, it also enables the rendition of a and ultra natural colour, with a unique effect for each product. Through these bright colours Hurbane reveals and restores the beauty and richness of this luxurious material, all too often buried standard black or brown hues. 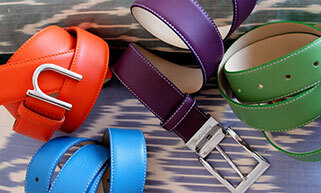 An apology to leather through this devotion to glorious colour! 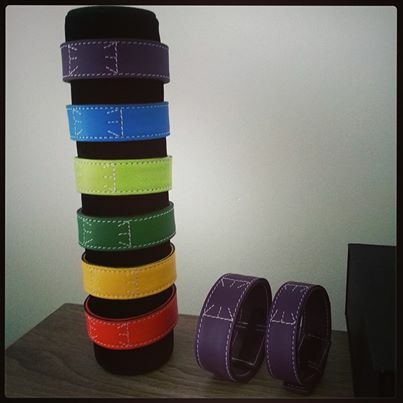 Throughout its production cycle, each Hurbane item has been treated with care and attention. 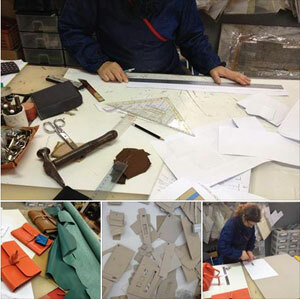 Created in Portugal made by the best craftsmen tanners and leatherworkers, tannery and manufacturing have retained the traditional and manual skills that are still very strong in the area. Preparation of leather and painstaking creation of parts require more than 14 manual operations and rely on expert know-how. Skins are first of all selected according to demanding quality criteria to avoid any defects, and ensure leather colour and ultra-smooth finish not forgiving any glitch or irregularity in the hide. Then the tannery process requires ultra precise dosage of pigments to achieve a colour that is as dense, homogeneous and uniform as possible. This valuable recipe confers on Hurbane the unique singularity of its colour palette. Manufacturing then concentrates on only the very best parts of the skin. This quality is also obtained through craftsman leather working, combining both manufacturing tools and manual intervention. Finishing is achieved by hand to ensure precision in every detail. Nothing is left to chance to reach an optimum level of quality. Hurbane wallets, belts, toilet bags, and other male accessories: all reflect a true craftsman's rigour and a great respect for the item in question. 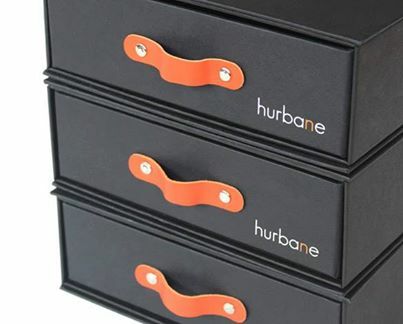 Each Hurbane item comes with a signed Hurbane luxury drawer-box in black and orange. Elegant, luxurious and masculine, this presentation box has been especially designed to be used as a luxury, high quality gift box, reflecting the standard of the Hurbane item within. 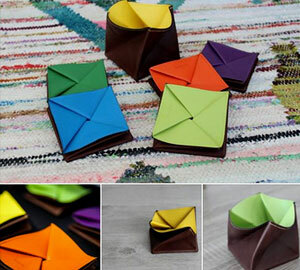 Square in shape, this box guarantees protection of your item before use, as well as its conservation and storage thereafter. Simple and modern, it will fit perfectly into your cabinets and shelves to store your Hurbane item. Its black colour, highlighted by the flexible orange tab epitomizes the Hurbane style and values: simplicity and masculine elegance mixed with boldness and individuality. For unconditional fans of the brand, Hurbane boxes will stack like drawers in a writing desk, so that you can file all your accessories with care. Your catalog is very beautiful ; hurbane has the merit of being different and original . Serious site and listening to customers. I recommend. And my wallet is superb. Hurbane's globetrottering still more! 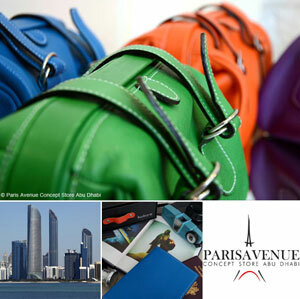 Now available in United Arab Emirates, at Paris Avenue concept store, in Abu Dhabi. Glad to meet you there! A detour to the side of Hurbane by Paris ZigZag. Hurbane distinguished with elegance by Le Club des Douze. 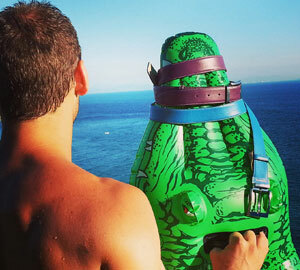 "Color is a Beautiful Way of life"; Hurbane's introducing its new campaign. 10 July 2014Hurbane coming to Portugal! 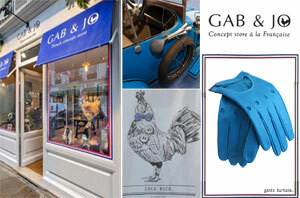 Now available at Kanchali & Sampaio wonderful new shop in Lisbon, at the heart of the Chiado. 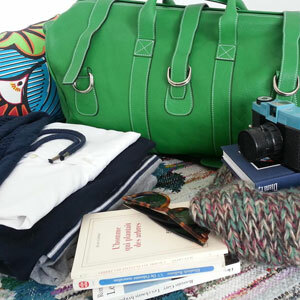 24th May 201412 Hommes en Couleurs: Pictures of the shooting coming soon, with Hurbane travel bag in the limelight. 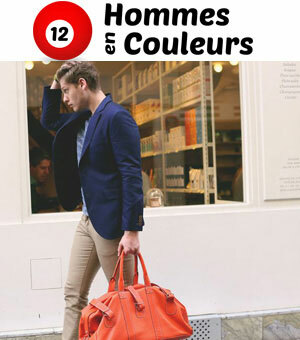 Selected by 12 Hommes en Couleurs. 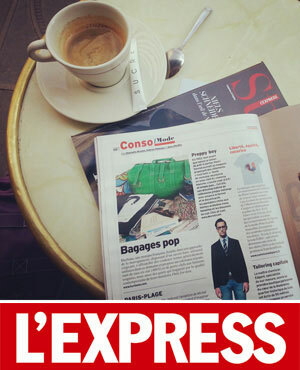 14.mars.14And on the press review in the coffee shop this morning ... Nice zoom on our "pop baggage" in The Express! 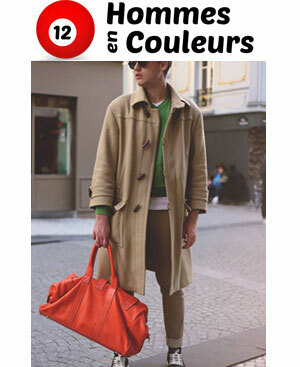 13.févr.14And on our collector's desk this evening ..
27th jan 2014So, if it comes from L'Homme Tendance...Hurbane, more than a trend, a real stance. 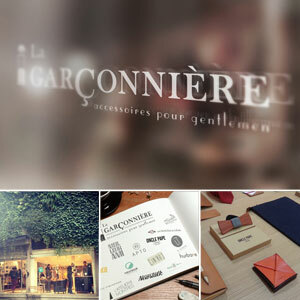 20.déc.13Hurbane has been selected by BABEL, the concept store on the canal St Martin! 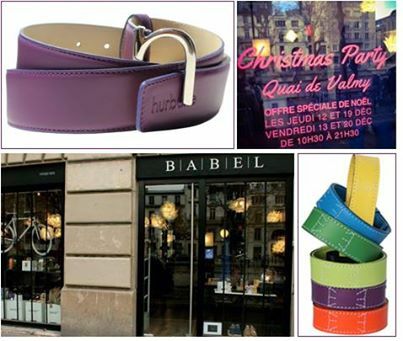 With a special and ultimate Xmas Party tonight ... See you at 55 quai de Valmy! 25.déc.13A first and wonderful Christmas spent together. 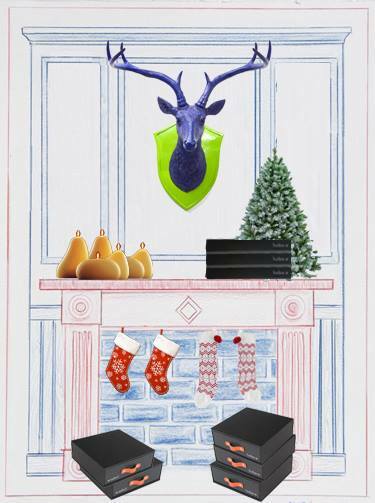 We wish you all a happy festive season! 10.oct.13How far would you go for distinction? 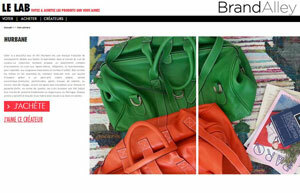 Hurbane selected by Brandalley to join its famous brands catalog. 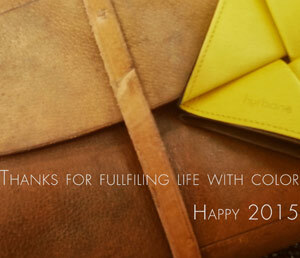 Hurbane team wishing you all a very nice year! A fall fashion look, free from monotony. 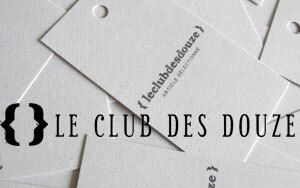 Discover the fine selection from Club des douze, featuring Hurbane. 02nd Septemb. 2014Obviously, a return to work without any greyness at Hurbane. 12th June 2014Workshop is buzzing in fabrication of the news Hurbane models. 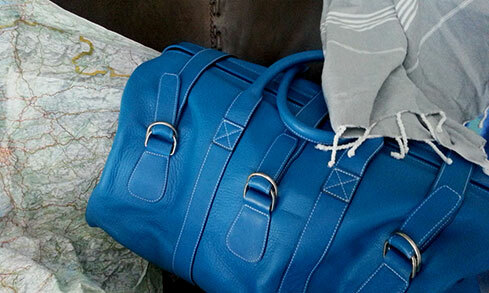 A look on the backstage..
06.mars.14Thanks to E. for sharing the adventures of his ultra-violet bag with us. 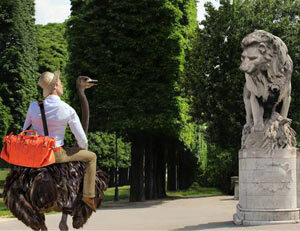 Hurbane's globe-trotting little by little! 20.déc.13""God is in the details." 12.nov.13Dare opal green. Spring autumn ... always ideal. 08.oct.13Gift boxes arranged like a 'secretaire', for efficient storage of your Hurbane accessories. 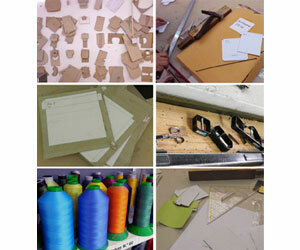 Excitement from the workshop side, developing new collection. A private visit to Portugal, deep inside the job. Hurbane discovered by the Chemistry Magazine visiting "la Garçonnière" (Paris IIe). 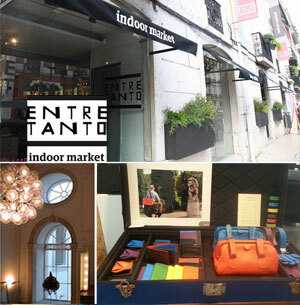 Hurbane now available at EntreTanto, the avant-gardist shop and unique retail experience in Lisbon. Hurbane beauty cases selected by the Captain himself. 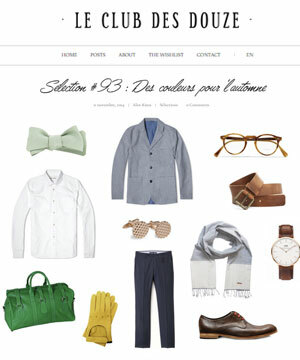 Nice to integrate this pretty neat selection for men. 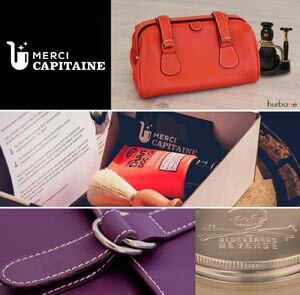 So, obviously, "Merci Capitaine"! 05th August 2014Hurbane team is wishing you all happy holidays. 26th May 201412 Hommes en Couleurs and Hurbane: an unavoidable meeting! 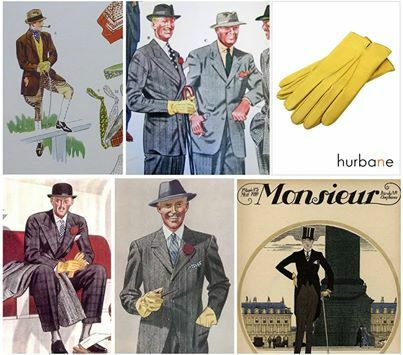 24 april 2014All the "french elegance" of hurbane's rallye gloves, at Gab & Jo concept-store (Paris VI). 26.févr.14Our colourful stance reported by Le Barboteur. Thank you Xavier! 21.févr.14The call of the sea and wide open spaces is stirring in some of us! 05.févr.14And you gentlemen, what colour is it today? 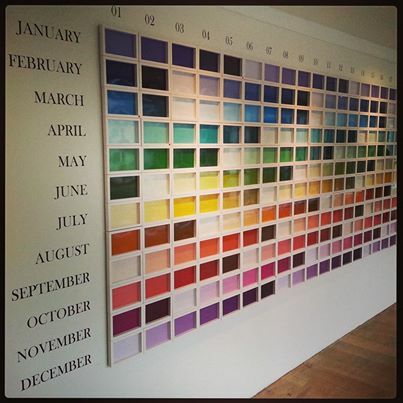 Cecily's Colour Calendar takes you through according to the day and mood. 15.janv.14The yellow pair of gloves in the spotlight in this wintry month. A male icon revisited by Hurbane in French lambskin. Respect for tradition! 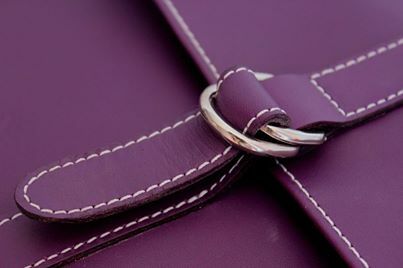 04.oct.13Ultra-Violet has now joined our core range.